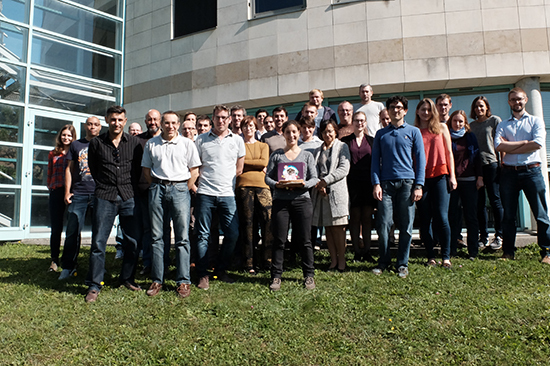 Laboratoire d’Annecy de Physique des Particules - A 25-years adventure for ATLAS ! A 25-years adventure for ATLAS ! 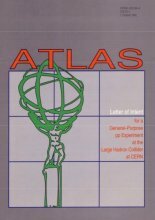 On 1 October 1992, ATLAS and CMS experiments at Large Hadron Collider (LHC) submitted their letters of intent for the construction of a detector. The letter of intent is a document that describes in details all the technical aspects of the geometry and the operation of these huge particle detectors. LAPP already was signatory of this very first step of the ATLAS experiment. Twenty-five years later, after the discovery of a Higgs boson and some spectacular progresses in our comprehension of quantum chromodynamics (theory of the strong interaction), the ATLAS detector is still in a perfect operating state. It will undergo some refurbishments during the next years to be able to sustain the difficult operating conditions of the LHC. At LAPP, the ATLAS physicists team of plays a great part in these improvements along with the engineers and the technicians.